'Financial doping' in football has meant a few elite clubs taking the Premier League championship year after year. 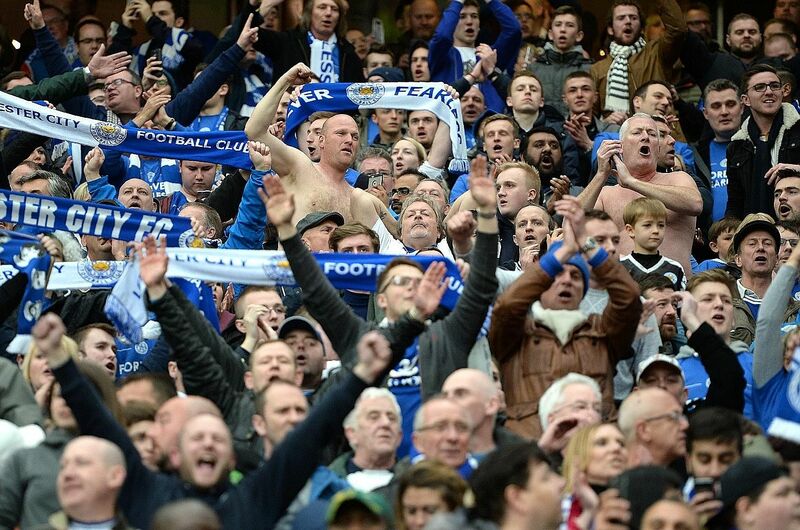 Leicester's surprise showing this season is a triumph of the outsider. Great sport strikes an optimal compromise between excellence and surprise. The pure randomness of throwing dice is never going to draw a crowd. But if the "best" team wins every time, and there is no room for luck and uncertainty, then the drama becomes both boring and depressing. We turn to sport for inspiration and reassurance as well as virtuosity. Football is inherently good at surprise - one reason it's the world's favourite sport. Because the value of an individual goal is so huge (even a run in baseball isn't as important), luck and unpredictability are hardwired. A shot hitting the post, a single refereeing decision, a goal against the run of play: these allow football to sustain justified faith among underdogs, both on the pitch and in the stands. On any given Saturday, the favourite is less likely to win at football than in any other sport. The problem, however, is that over the course of a long season, this unpredictability disappears. The same teams keep winning. The rich ones. That's why the success of Leicester City has breathed fresh life into football. One telling tribute has come from a segment of principled Arsenal followers. I know several who transferred their allegiance to Leicester, even when their own team still had a shot at the title. Madness? Perhaps. But their logic was in the spirit of Arsenal's manager Arsene Wenger. The phrase "financial doping" - the idea that sporting success that has been bought by a super-rich owner is at best semi-legitimate - was first attributed to Wenger in 2005. Leicester stand 17th in the league in terms of wage spending, first by points ranking. By Wenger's own logic, a Leicester triumph would be more virtuous than victory for his Arsenal. Not everyone has joined the party. Successes such as Leicester's, gift-wrapped for screenwriters, inevitably inspire a rationalist backlash. "Debunking" the Leicester miracle has now become a popular intellectual counter-rhythm, as though the romantic bandwagon needs to be kept in check. The revisionists have proposed that Leicester's success is about systems, not romance. Leicester have invested in marginal gains, ranging from a pioneering scouting system to rotational fouling, aimed at reducing yellow cards. This savviness, however, doesn't undermine the story at all: doubtless David had a very elastic sling when he felled Goliath. Besides, we do not have to turn Leicester into saints to marvel at their success. The Premier League has an especially bad track record at producing improbable title winners. In its 23 seasons, it has coughed up only five champions - with the four giants of Arsenal, Manchester United, Chelsea and Manchester City sharing 22 titles, and a single triumph for Blackburn Rovers (even that victory was powered by an injection of cash). So while improbable things certainly do happen, they have proved remarkably reluctant to happen inside English football. The Leicester story is timely, both for sport and as a metaphor for success in life. The idea of an establishment, or at least the dominance of entrenched interests, has become the prevailing theme of our times. It is a slippery concept and often mishandled, but sport has done little to undercut the gloomy narrative of the top 1 per cent greedily carving up the booty. There is an 89 per cent correlation between wage spending and league position, as Simon Kuper and Stefan Szymanski identified. Put differently: Financial doping works. A connected point is the burgeoning influence of possessing a glamorous sporting history. It is reputation that drives the club's brand, magnifying its financial clout. Super clubs such as the New York Yankees or Manchester United support Thomas Piketty's theory of capital: They are able to exploit past successes to ensure they keep a grip on present advantages. The sale of Yankees baseball caps is remarkably resilient, even when the team is having a bad season - which inevitably reduces the probability of bad seasons happening. Owning history in sport is like owning London property: you're pretty much made. Sport's embrace of ultra-professionalism has created new ways for money to express an advantage. In the late 1970s, Brian Clough's tactical and psychological skills made Nottingham Forest champions of Europe. Since then, rich teams have benefited from the new layers of professionalism - physiotherapy, prehab and all the rest - making it harder for the enlightened maverick to stand out. Elite football, in fact, could almost be a case study in late capitalism. The game as now played (loosely analogous with absolute standards of living) has undeniably improved at dizzying speed. In terms of skill, speed and attacking flair, it is easy to forget how much the game has evolved. The greatest leap forward was the proliferation of the yellow card, which gave the attacker the advantage, not the thug in long spikes. A leading commentator told me that when he watches archives of 1970s football, he estimates that half the players would today be sent off for violent fouls. Yet while the game itself dazzles, the top flight has become an increasingly closed shop. One former footballer, now a leading figure in the sports industry, confided recently: "Each season, I am 1 per cent more in awe of what happens on the pitch. And 1 per cent more disgusted by the industry behind it." Football has delivered magnificently as a spectacle, but failed at sport's version of social mobility. Until now, that is. And that's why Leicester's success matters beyond the game itself. Sport has never been a level playing field, but it does rely on an essential splash of surprise. There is room for some dynastic continuity, but not a rigid caste system. And every now and then in life, just as in football, an outsider has to steal the show.